I lost my dear friend Jill almost two weeks ago. The past few days have been rough trying to process what happened and wishing I could have talked to her one last time to tell her how much she means to me. We lived a few blocks away from each other when I lived in LA and we shared many meals, desserts, walks and shopping trips in those years. We both loved to walk and eat so we’d often walk around Wilson Park or around our neighborhood for miles and when we got tired, we would stop somewhere to eat dinner. Jill loved dessert so sometimes dessert would be before dinner, if we saw a place that had a good red velvet cupcake or if we passed by a 7-11. She sure loved Slurpees too. 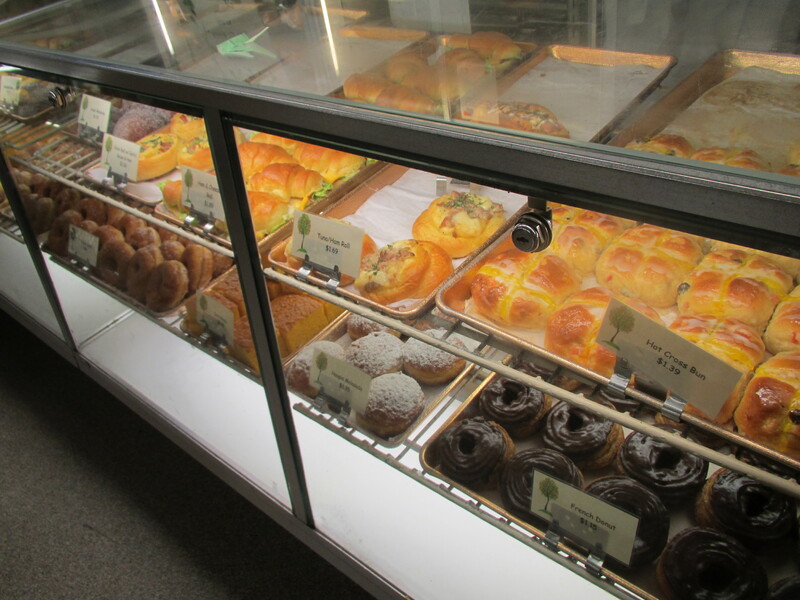 I know I’ve written about Liliha Bakery before but I wanted to write about it again because I know Jill liked this place. It’s open 24 hours so it’s a great late night place to go and every time I’ve gone, it’s been packed. No matter what time of day it is. Jill used to like eating their grilled potatoes! Just remember that it is closed on Mondays. We had to learn the hard way on prior trips back to the islands. I’ve actually only eaten real food here once. 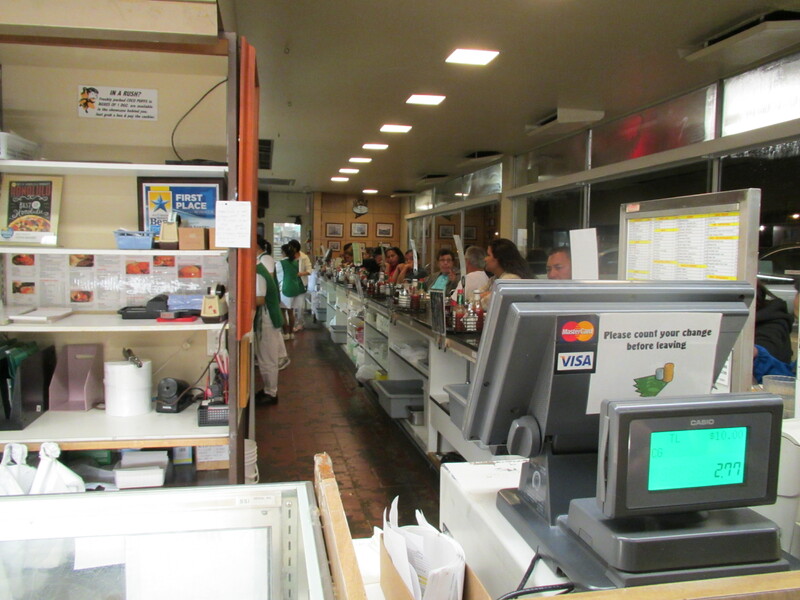 They have a long counter and even at 4 in the morning, it’s hard to get a seat. I always come here to get cocoa puffs. 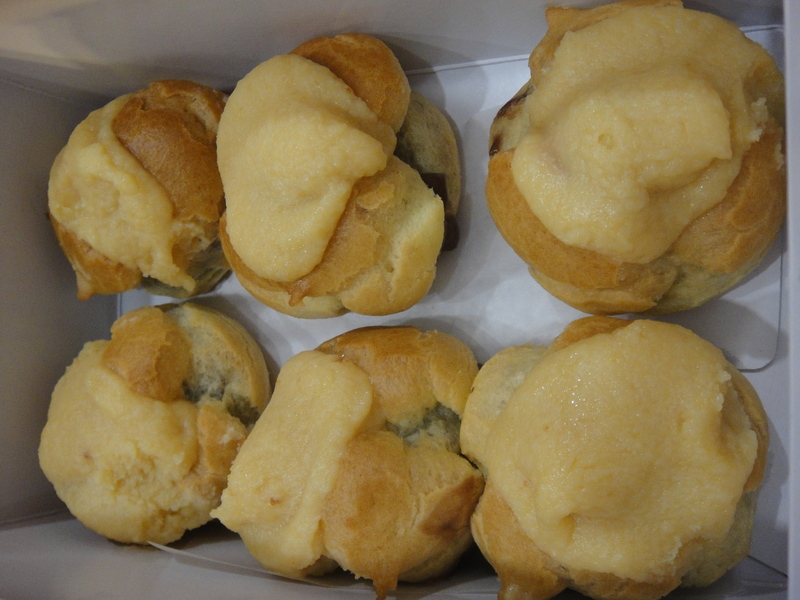 It’s a cream puff with chocolate pudding inside and chantilly frosting on top. I think the last time we came, we bought a couple dozen to take back to my in-laws since we were having people over. They were gone amazingly fast. TM and I only had one each that night so we went back another time to get more. Jill, you will always be missed and never forgotten. I’m not talking about the cereal but rather, Cocoa Puffs from Liliha Bakery. 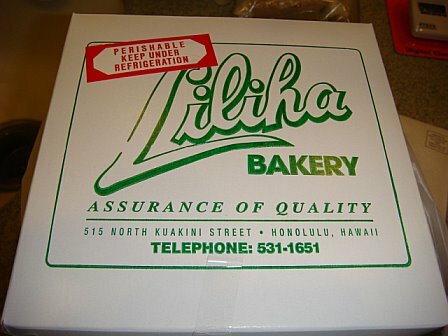 The last time I went to Hawaii in November I tried to go to Liliha only to find out that it is closed on Mondays! I warned Boyfriend of this when he went home in December but of course, he did not listen. He tried to go on a Monday only to find out it was closed (big surprise) so neither of us got Cocoa Puffs the last time around. This is a great place to go late at night since it is open 24 hours. (Note: it is CLOSED on Mondays!) I’ve only ever had their cocoa puffs and cheese toast but they were great. Since we were deprived the last time around, we bought SIX Cocoa Puffs!! 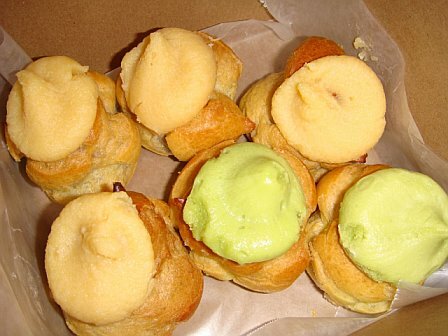 We got two special matcha puffs and four original. 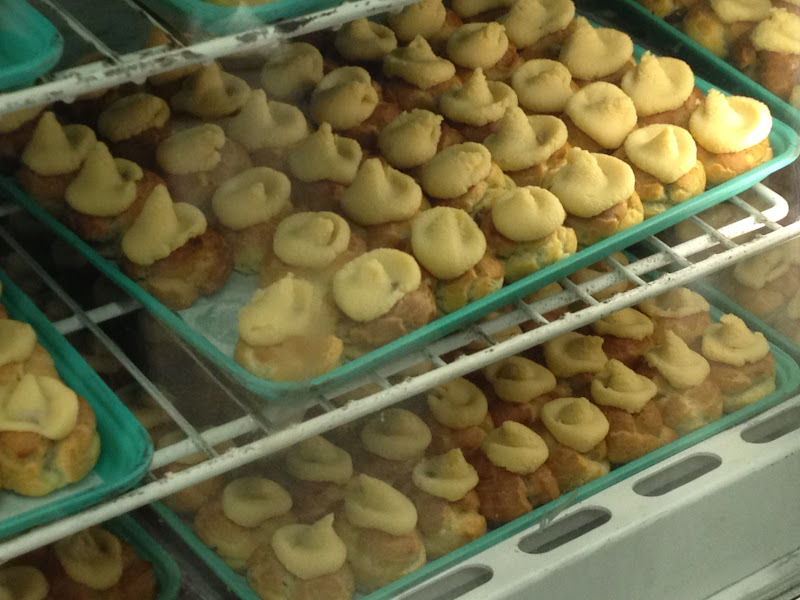 Cocoa Puffs are cream puffs filled with chocolate pudding inside and chantilly frosting on top. I usually give Boyfriend a good chunk of my chantilly frosting because I am nice like that. : ) The original were definitely better than the matcha ones.